Sorry for the delay Lovelies, life had been crazy around here dealing with the DMV. You know how that goes 🙂 To make it up to you I will double the posts through this weekend because there are two major things coming up next weekend! 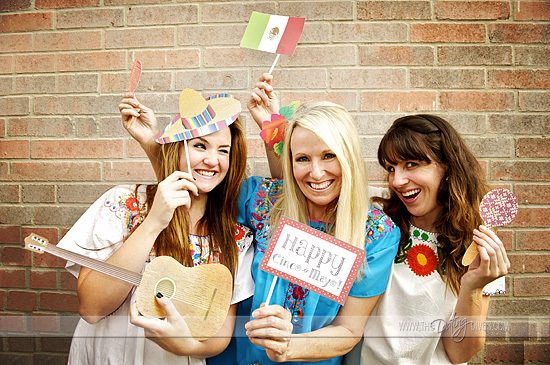 The Kentucky Derby is May 3rd and 4th and Cinco De Mayo is May 5th! You will be celebrating all weekend. 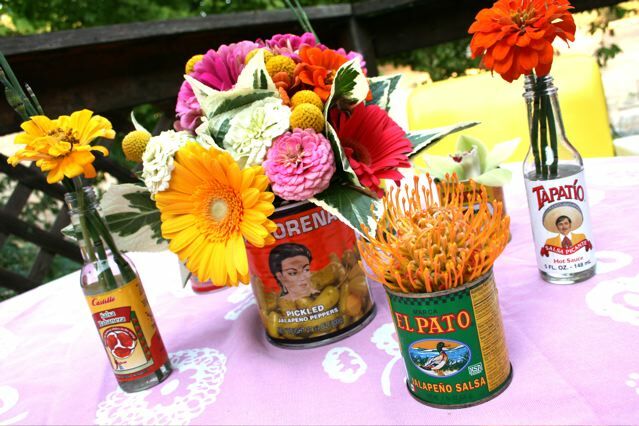 Don’t miss our fabulous Cinco De Mayo party next weekend, until then, let the ideas begin! 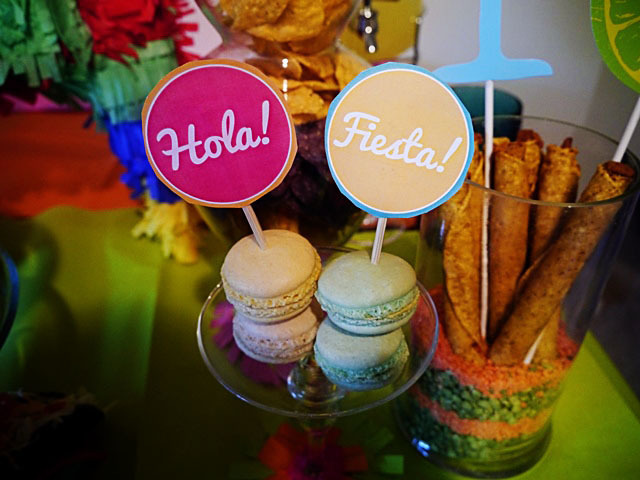 Let’s kick start these lovely ideas with a Cinco De Mayo pinata cookie. 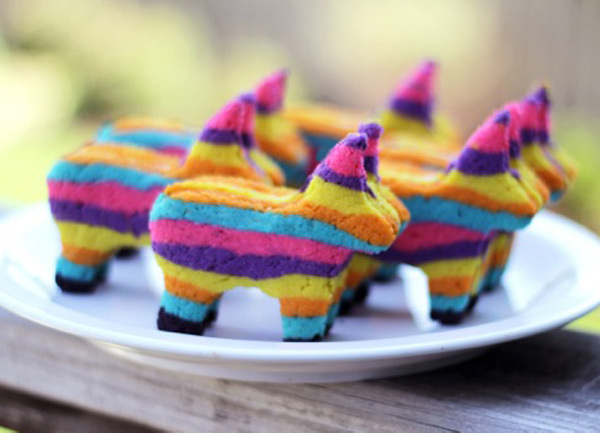 I love the color combos with these donkey cookies. 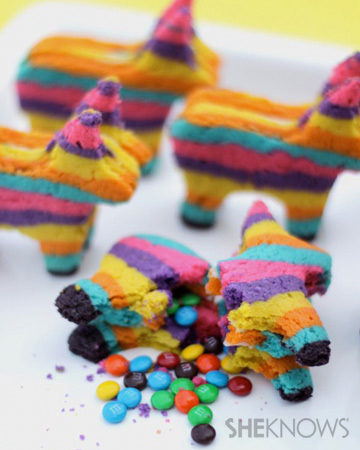 These pinata cookies are seriously adorable and I KNOW your guests will love it, especially with the candy surprise inside! 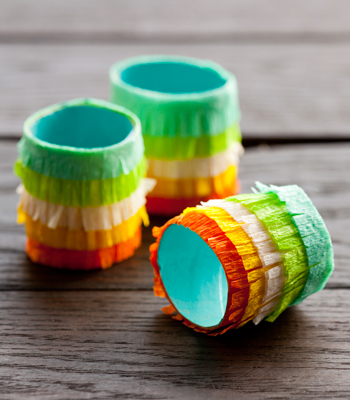 Even better it comes with a DIY from She Knows!! !